Purchasing a property can be daunting. Most people sacrifice and scrimp to be able to save the required deposit on a home. So what happens if, in the unlikely scenario, you can’t settle on the property after entering into a contract? 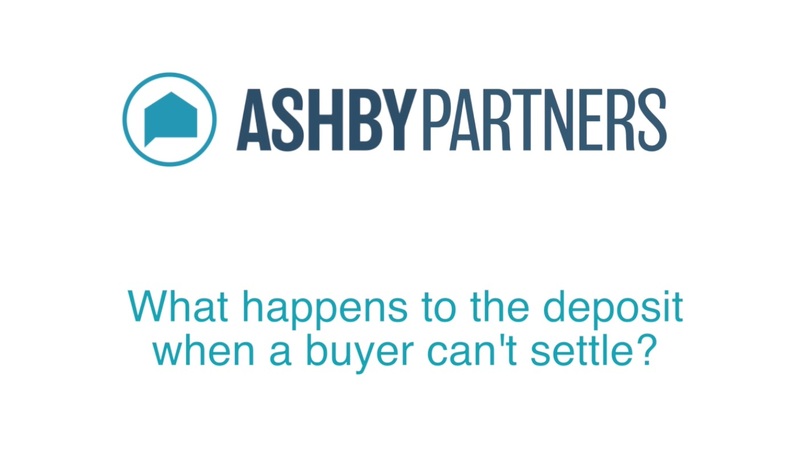 Archie Tsirimokos from Canberra’s prominent legal firm, Meyer Vandenberg, fills us in on what happens to the deposit if the purchaser can’t fulfil their contractual obligations. - Can recover a shortfall after placing back on market and selling. - Ensure you have a good conveyancing solicitor. - Check the details in your sales contract carefully. - Get your finance in place before you sign the sales contract. - Get insurance and make sure you do a property inspection. - Set your moving in date a few days after settlement day. These videos provide general information only and have been prepared without taking into account your objectives, financial situation or needs. We recommend that you consider whether it is appropriate for your circumstances and your full financial situation will need to be reviewed prior to acceptance of any oﬀer or product. It does not constitute legal, tax or financial advice and you should always seek professional advice in relation to your individual circumstances.